Celtic Christian bands, Chapter IV: "According to their website: "Ceili" (say: KAY-lee) is a Gaelic (Irish) word that means "party," specifically one with live musicians, dancing and general merriment. "Coeli" is a form of the Latin word for "heaven." Rain is that stuff that falls from the sky. Thus, Ceili Rain is a "downpour of heavenly partiness." Ceili Rain is an innovative blend of pop-rock music with a dash of Celtic/Irish flavor and a subtle, but sincere, spiritual message. The band is led by frontman, Bob Halligan Jr. As a songwriter, Bob Halligan, Jr., has had over 140 songs recorded by well-known rock artists, including Cher, Michael Bolton, Judas Priest, KISS, Kathy Mattea, Bob Carlisle, Rebecca St. James, Jump 5, Maire Brennan and countless others. He has published over 870 songs and his songs have sold more than 30 million units. In 1995, Bob Halligan Jr (while living in Nashville) sat down with his dear friend Dan Keen from ASCAP. Dan looked him in the eye and said: Bob, buddy, I think you have to decide if you want this be a Christian band or a mainstream band. Bob's reply set up & defined the joys & struggles of the last 10 years: Dan, I have decided. 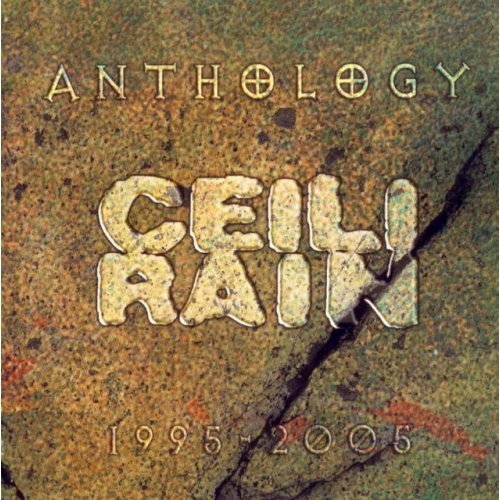 I want it to be Ceili Rain! Stupid or stubborn, you decide! Now 10 years and 56 band members later, he still loves the mission of this group: which is to bring faith-based music to people of all faiths (and no faith); to encourage people to talk to (and more important LISTEN to) God whether or not they feel the slightest inclination to do so; to mix rocknroll and Celtic flavors in a way that is exciting, danceable, joyous and musically solid. The discography of Ceili Rain continues to grow due to the overwhelming support of a seriously committed underground fan base. Fans of this band have given up everything to drive across the country to follow their favorite fella's and label artists representing a variety of musical styles have even gone on to cover Ceili Rain tunes. For example, Christian recording artist Rebecca St James covered the song Me Then You Then You Then Me on her incredibly successful CD titled God. Kathy Mattea not only covered the song Love Travels but she went on to name an entire tour after the song. In 2004 Ceili Rain released Change in Your Pocket found on the OCP/Spirit and Song Record Label and distributed to the mainstream by Compendia Music/Koch Entertainment. This CD went on to win 5 Unity Awards and spawned 3 videos. One of the highlights of this release was their trip to Ireland where 2 of the videos were filmed. These videos are now showing on video channels across the world. Ceili Rain has played some of the top venues in the country including Reliant Stadium, The RCA Dome and The Georgia Dome. They have played many key festivals from Kingdom Bound to CreationFest to World Youth Day. They have been invited to perform at numerous celtic and community events from the Slainte Festival to the Bethlehem Musikfest. They have played at major conferences including NCYC and Youth Specialties and have even performed for major corporations like Nextel. International travels have taken them to several countries including Canada, Belgium, Italy and others. In Fall 2006, Ceili Rain released their 5th studio album titled, Whatever Makes you Dance. There's no doubt whether you are a new Ceili Rain fan or a die hard Ceili Rain fan that there is truly something for everyone on this CD. The first radio single to come from this CD was a powerful ballad called Kneeling. The song hit big on KLOVE Christian radio and peaked at 12 on the national CRW Radio Chart. Fans from all faiths, and from all political parties agreed Kneeling is a song with a powerful message. The song was also a finalist in the International Songwriters Competition. anticipation and excitement this project (released as an independent CD on Mima Rekidz) was 100% funded and sponsored by loyal friends and fans. A new concept for sure-but a wonderful opportunity to celebrate with those who have supported Ceili Rain and all the merriment that comes with it. I Made Lemonade was inspired by the debates, the troubles, and the love that surrounds BHjr and Ceili Rain. He wanted the songs to be simple without being “dopey”. He wanted a bigger sounding record that listeners could turn up loud. Although Ceili Rain records have always been prayerful, “Lemonade” is sometimes a bit more overt with the spirituality. But, BHjr’s penchant for remaining subtle and below the radar is never fully ignored! I Made Lemonade will encourage you to Trust On-Love On-Joy On! Sometimes it really is, the best way to be.